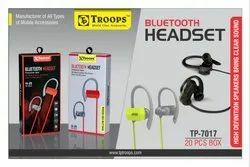 Leading Manufacturer of troops tp-7024 wireless bluetooth earphone s6, troops tp-7061 sporty earphone, troops tp-7005 tp-198 bluetooth headset, troops tp-7006 tp-199 bluetooth headset, troops tp-7007 bluetooth single headset and troops tp-7010 bluetooth headset from Mumbai. 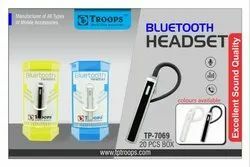 Item: Wireless Bluetooth Earphones with Microphone. Features an anti-slip ergonomic design, giving you your EDGE for the next workout in the gym. 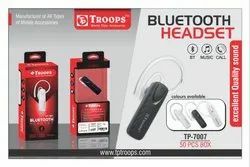 Headset also comes with additional sizes of ear cushions and earhooks for the perfect fit. Incorporates audio technology that has been optimized to make conversations clear. Multi microphones optimise your voice and minimise noise caused by wind, movement, and background sounds. 1. Using noise reduction and echo suppression technology, the quality of any noisy environment is still excellent. 2. Strong compatibility. 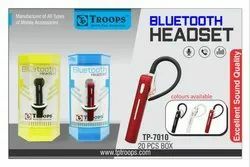 The digital products with Bluetooth function on the market can basically be used. 3. Bluetooth 4.1 low power consumption. This one is incorporated with such advanced technology that it offers to you high speed charging when used with a wall or car adapter. the make of the product is such that it serves you for a long time. 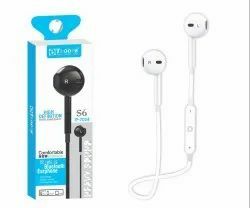 Ear Bud HOW TO PAIR IT WITH YOUR PHONE 1. 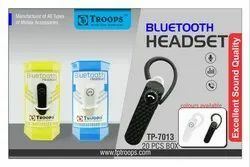 Take out the Bluetooth ear bud from the box. 2. Press and hold the power button for 3 to 4 seconds until the light indicator flashes in red and blue alternatively. X-Bass It's better when you have that element of rhythm while going about your day or breaking a sweat. Our xBass factor allows you to experience music in a way that you can truly appreciate the beat. 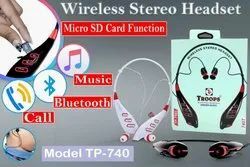 * Stylish looks and built-in Bluetooth chip with HiFi Stereo earphones ensures you could enjoy high quality stereo bass sound and good treble. 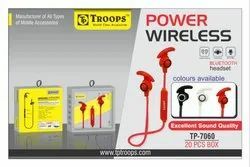 TP TROOPS is designed to play for up to 8 hours. It has a high definition sound. Run presentations and onscreen content with a virtual laser from the palm of your hand, or navigate your PC at your desk, with the sophisticated. 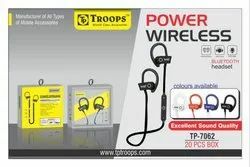 The comfortable and ergonomic design ensures that earphones always stays in place while running, jogging and gyming. 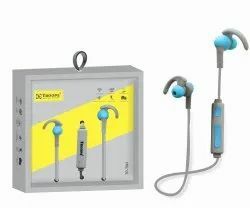 WeCool comes with three sizes of ear buds to provide the best fit for all. 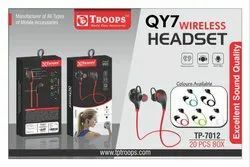 Ergonomic Design With an extremely comfortable fit along with a lightweight construction (33 g), the in-ear wireless headphone keeps you cool in your long music sessions. It also comes with ergonomically designed hybrid-type ear tips adjustable to all neck sizes. Flaunt your personal style statement, with Level U that features a stylish accessory like design. Kindly note that Bluetooth needs free space to transform Bluetooth waves. 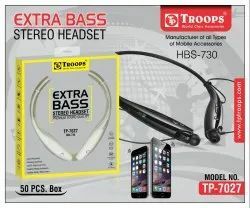 So please do not tightly cover the receiver or transformer to ensure good connectivity.Stylish looks and built-in Bluetooth chip with HiFi Stereo earphones ensures you could enjoy high quality stereo bass sound and good treble. 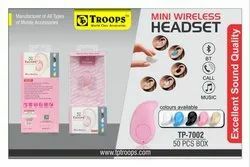 Mini Portable Wireless headsets with built-in microphone and great Noise Isolation produces clear loud sound, convenient and easy to answer and end the phones. Drop Your Headphone Cable, Enjoying The Music True Wirelessly ! Enjoy our intuitive design with a single multi-function button that initiates device pairing, plays and pauses music,and lets you accept incoming calls with the built-in mic and receive helpful voice prompts. 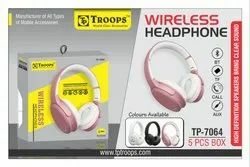 With soft smooth silicone gel surface, this Bluetooth headphone is designed to naturally fit the contours of your ear. 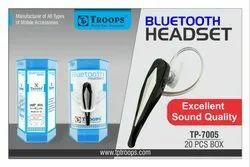 Earbud tips are provided to guarantee constantly comfortable feeling.